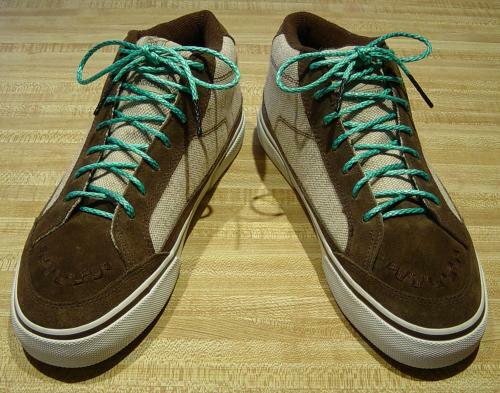 Skateboard Shoelaces, Skateboarding Shoe Laces, Skate Shoe Laces, Van's Shoelaces, Custom Shoelaces. The strongest, most durable replacement shoelaces for skateboarding. Stronger than Kevlar or Paracord! OldKook's (TM) Snakes! (TM) Laces. Guaranteed to outlast your shoes. Made in The U.S.A. The Highest Quality Products. Made in The U.S.A. The ultimate skateboarding shoelace! Snakes!TM Laces are made from high-tech fibers which are braided to create shoe laces that are -- literally -- stronger than steel cable of the same diameter. How strong, exactly? 1600 pounds tensile strength. That's stronger than Kevlar or Paracord! They're also coated with urethane for maximum abrasion resistance. So, not only are they the strongest replacement shoelaces in the world, they are also the toughest! Snakes!TM Laces have been thoroughly tested by skaters who put serious hurt on their shoes, doing knee slides, "berts", kick flips, etc. Everyone agrees that these are the most durable shoe laces on the planet. All OldKook's Laces are made in the U.S.A. and are guaranteed to outlast your footwear! Read some of our customer testimonials here! 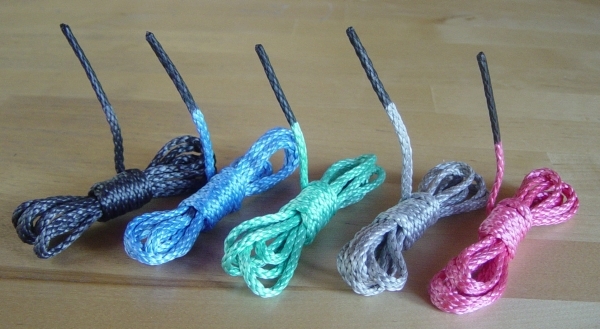 Buy SnakesTM Skateboard Laces safely and securely via our shopping cart. Dealers & Distributors: Volume discounts and wholesale pricing are available. Please contact us here. Performance Tip: The urethane coating on Snakes!TM Laces makes them slick. Double knot them and they will stay put.